The world is full of distractions; construction, cars, dogs, neighbors, airplanes, you name it and its going to make noise and pull you away from any kind of necessary immersion we gamers need. Headphones are one of the most vital accessories for gamers of all ages to not only slip into the digital landscape we now control, but even as a courtesy to those around us who want to go about their lives without listening to us ripping demons in half or drifting that sick turn. We’ve got a rare treat for you – a sensual tease if you will – as Garrett Drake unboxes one of the most high-quality headsets on the market, the Audeze Mobius. Now, you’ll need to wait a little while for an official impression, but who can resist listening to that boy talk? Check out the unboxing below. 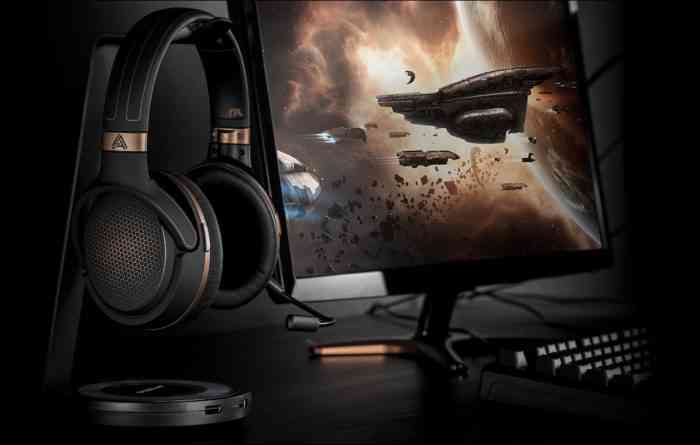 The Audeze Mobius headset uses top of the line technology with 7.1 surround sound, full compatibility for movies, music, and games, and has been compared to be the auditory equivalent of what VR has done for visual gaming. To find out Garrett’s official impressions on this $400 USD headset, be sure to stay tuned in the coming days for his thoughts. Do you already have the Audeze Mobius? Have you been looking into getting a pair for yourself? Let us know on Facebook, Twitter, or the Comments section below.